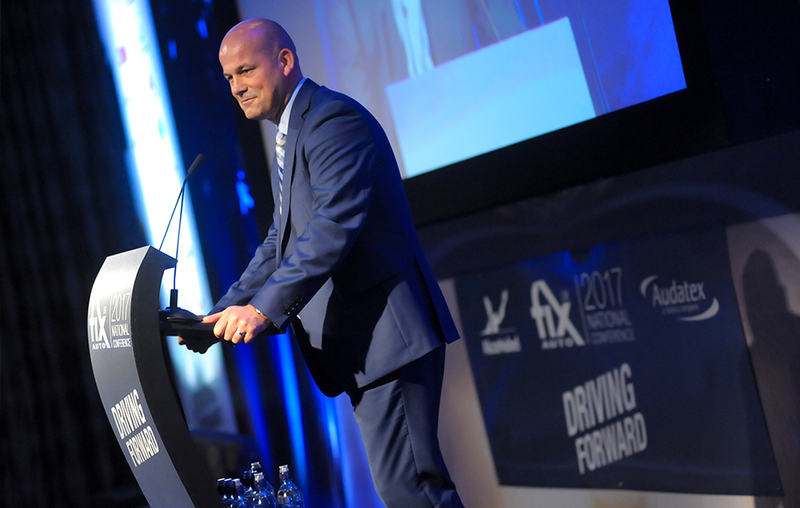 Athletics, marketing, pizza and The Stig might not spring to mind when talking about the vehicle accident repair industry but they all had significant influence in making this year’s Fix Auto UK Conference a success. Mark Hadaway was one of more than 300 delegates from as far afield as China in attendance to witness it all. 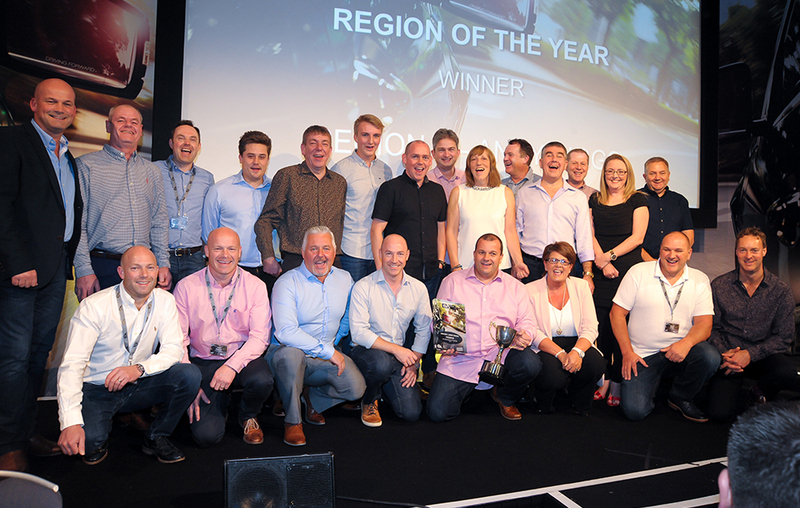 A record-number of franchisees, guests from leading insurance companies and suppliers took part in Fix Auto UK’s Conference 2017 held at the Hilton St George’s Park hotel. With the theme ‘Driving Forward’ the event included a line-up of inspiring presentations from top influencers from within the sector as well as those not typically associated with the trade. 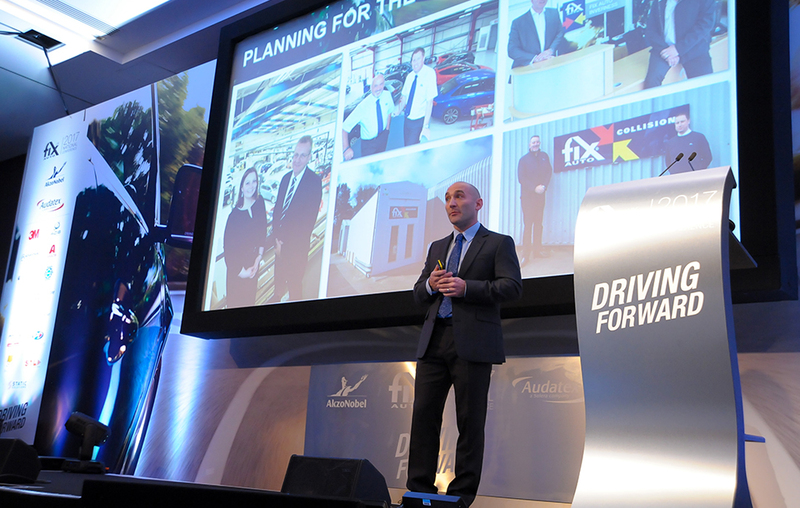 Head of Fix Auto UK, Ian Pugh then took to the stage to announce 24 consecutive quarters of growth for the business, and predicted the network would deliver £250m worth of repair work to its franchisees within the next three years. Motor claims consultant Ian Guest provided delegates with a fascinating insight into the world of insurance highlighting how a combination of rising claims costs, regulation, and major technological disruptions are forcing insurers to rethink their claims strategies. ‘The old days of annual insurance policies is starting to fade,’ Ian told delegates as he referenced the InsurTech companies such as teambrella and Lemonade disrupting the sector. However, he also suggested the big insurers were ‘fighting back’ with a number of tech start-up investments of their own. 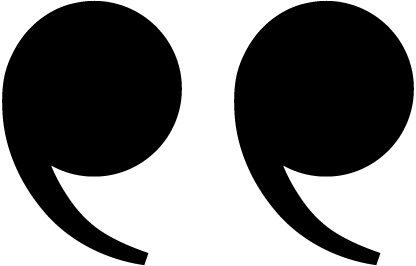 ‘Digital as a strategy is happening now within the sector – this is real and will only continue to multiply in the future,’ said Ian. ‘I anticipate we will be present within 12 countries by the end of Q2 2018,’ explained David listing Ireland, New Zealand, Portugal and Spain as current targets. Referring to the purchase of Novus Glass earlier this year, David suggested his role had been ‘complicated’ as the challenge was now to ‘find trusted master franchise partners who could cater for two brands. 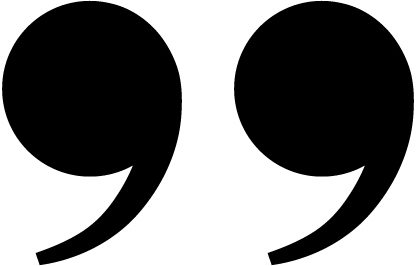 David then stated that by October 2018, Fix Auto would have a presence in 15 countries with another seven ‘ready to go’. Chicago-based industry expert Sean Carey provided a detailed analysis of the proliferation of connected cars, the emergence of autonomous vehicles, and their likely effect on damage severity and accident rates. With that he also suggested repairers should not be afraid of the paradigm shift within the industry as ‘those who come through will do very well’. 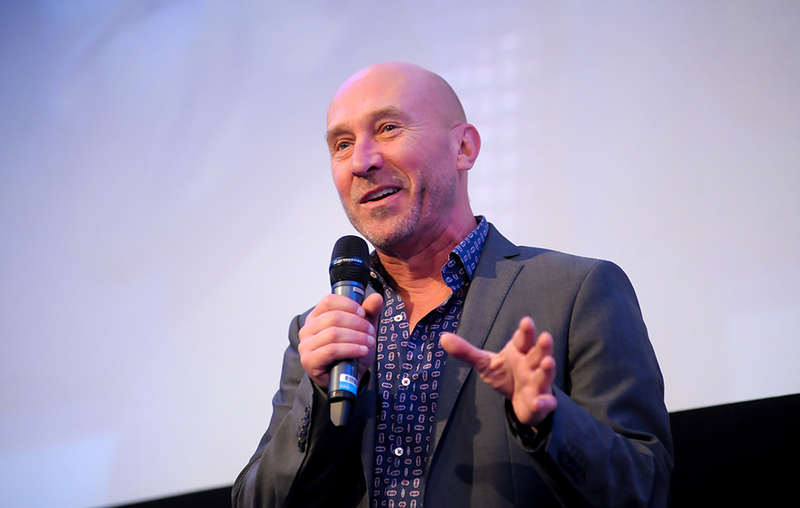 Beyond the industry contributions, the icing on the cake at the Fix Auto UK conference was hearing from inspirational characters from the worlds of athletics, marketing and pizza. 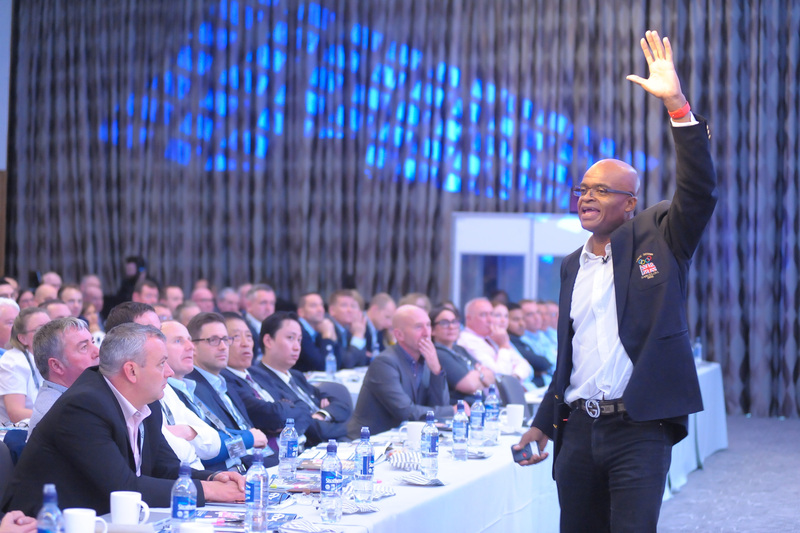 Olympic medallist and relay champion Kriss Akabusi MBE provided an incredibly passionate, animated and rousing motivational presentation. The 1991 World Champion spoke first-hand about how teamwork succeeds against all the odds – ‘there will be moments when you need help to get across the line’; encouraged the audience to look to millennials for alternative perspectives – ‘you need young people to challenge your thinking; and advised everyone to ‘dream big’.